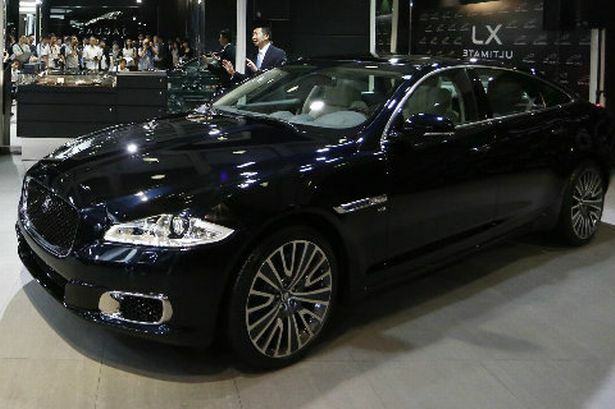 Midland car giant Jaguar has taken the wraps off its new Jaguar XJ Ultimate for its public viewing debut in Hong Kong, where it will sell for almost £330,000. The model enjoyed a private preview at the 2012 Beijing International Auto Trade Show and has now gone on public show for the first time as part of a world tour. The Ultimate’s accessories include 20 loudspeakers, a 7.5 litre champagne cooler and two third-generation iPads. The new limited edition car is the first Jag to feature a new 3.0-litre supercharged V6, available with either 335bhp or 375bhp. The engine will also power the upcoming F-Type sports car. The XJ Ultimate was revealed by Jaguar’s design director Ian Callum at a special event inside Beijing’s largest Jaguar Land Rover dealership, and has now made its showroom debut in Hong Kong. As well as the supercharged V6, the Ultimate Edition can be specified with supercharged 5.0-litre V8 petrol or 3.0-litre V6 turbodiesel engines. Jaguar Land Rover currently has 125 Chinese dealerships, which will grow to 140 by the end of this year. Around 20 per cent of all Land Rovers and Jaguars produced are now shipped to China.